I. 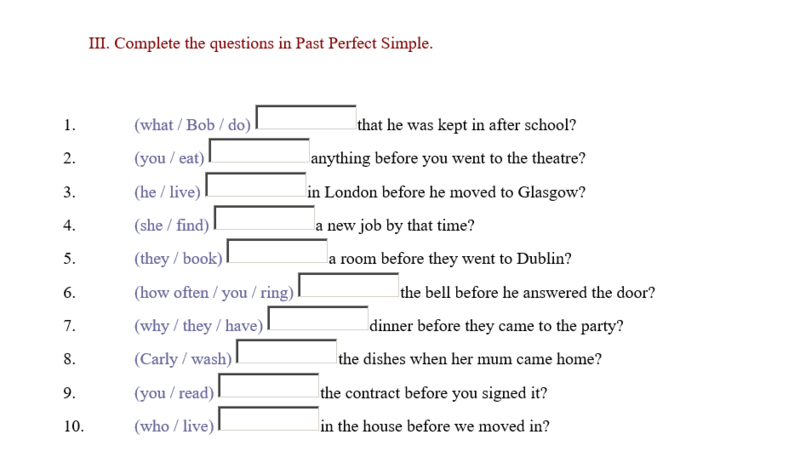 Write the verbs in Past Perfect Simple. II. Write the verbs in Past Perfect Simple. Use the negative form. III. 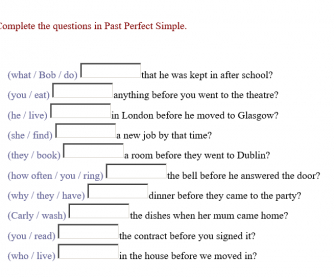 Complete the questions in Past Perfect Simple. IV. Put the verbs into the correct form (past perfect simple).